Devoid Of Culture And Indifferent To The Arts: Recipe: How to make effervescent kéfir. I did it! A little effervescent silliness in the YouTube clip above for you. I'm that happy. I have been making kéfir for about 5 weeks now. It’s very good and I have become extremely fond of it, besides kéfir's well documented health benefits. 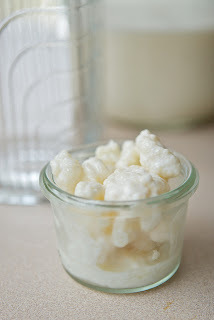 It is very refreshing “plain” or flavoured after it has been cultured and chilled, but there has been one aspect of making my own kéfir that has eluded me. How do you get all those wonderful little bubbles in it to make it effervescent? Well, it has eluded me – until now. Carbonated (effervescent) kéfir is a delightful beverage that has a sort of “sparkle” to it which is not unlike soda. It takes delicious kéfir and transforms it into an amazingly different drink. But I wanted a lot of carbonation, just like when you purchase carbonated from the grocery. After doing a thorough search for culturing fruit juice using kéfir grains I found a simple explanation on how to accomplish this magical procedure. 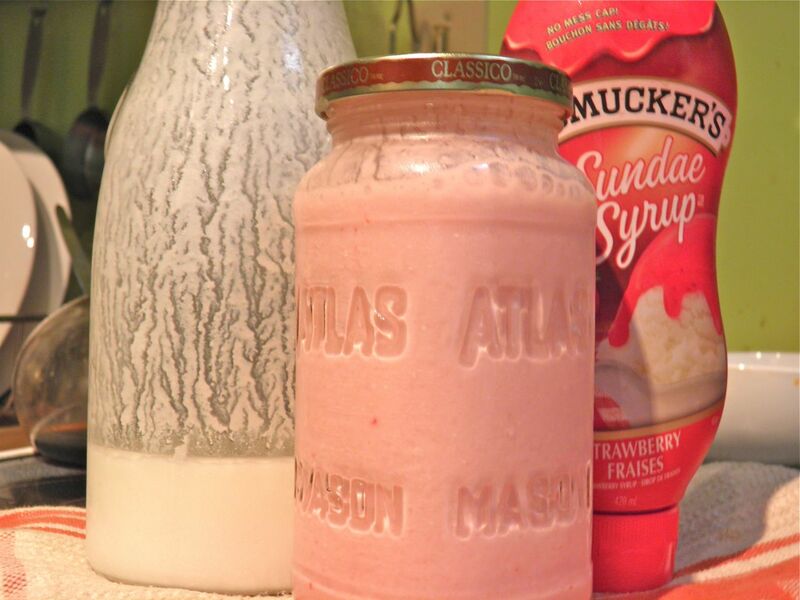 The equipment you need is simple: 1) some pre-strained kéfir, and 2) a clean airtight jar, like a mason jar. Procedure: put your strained kéfir in a sealable jar and set it on the counter for 24 hours (depending on the warmth in your house) to naturally carbonate and then chill. That’s it. By "pre-strained kéfir" I mean kéfir that has already been cultured and the kéfir grains have been removed. You can also flavour however you want as well, either before carbonation or after (see below). This was so simple it’s pathetic. Who would have though it would do it on its own? The result is exactly the same as the carbonated kéfir that you pay nearly $4 for (about 500ml) at the grocery store. ADDENDUM: I think that the carbonation takes place best in the presence of sugars. 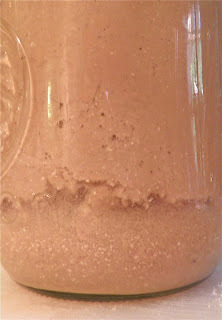 My chocolate and strawberry batches (using syrup) were more effervescent than the less sweet vanilla extract version. I have 2 litres of just plain kéfir on the counter now – one with added sugar and one without, for comparison. I'll add an update when they're finished. 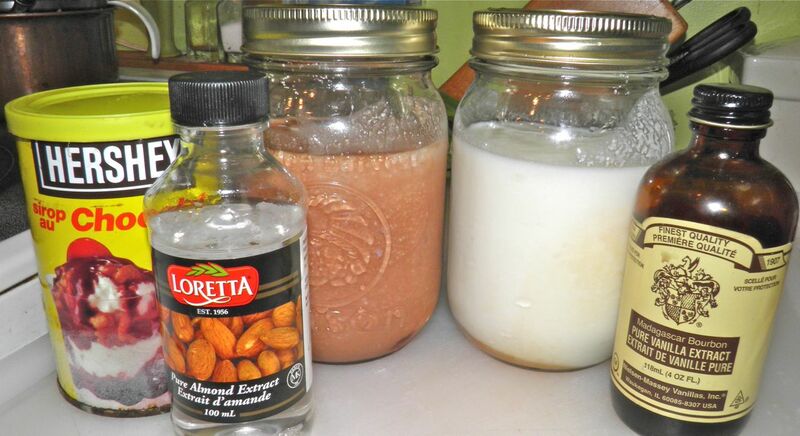 To make kéfir you need the grains, which grow, and if you have a friend who makes kéfir you can get them for free (reusable and they multiply). I paid $5 for mine. A pittance in hindsight. Then there’s milk (of any fat content, even skim) that sets you back $5.29 for 4 L if you know where to buy it ($1.32 L). This strawberry was a little too full. It foamed up over when opened. You need a bottle to culture in ($3 for a 1 L carafe at Walmart) and a mason jar for secondary carbonation ($1 each for 12 – use the rest for other things). Both are infinitely reusable, except for the mason jar lid, which is cheap. I only had pint jars in the house. I have now purchased a 1 L. Making a pint at a time is silly. It's just two glasses. Out of 1L of milk you get over 1 L of sparkling kéfir. If you count the milk, the only ingredient you have to keep buying, that’s less than 20% of what you pay retail for carbonated kéfir. I am over the moon. 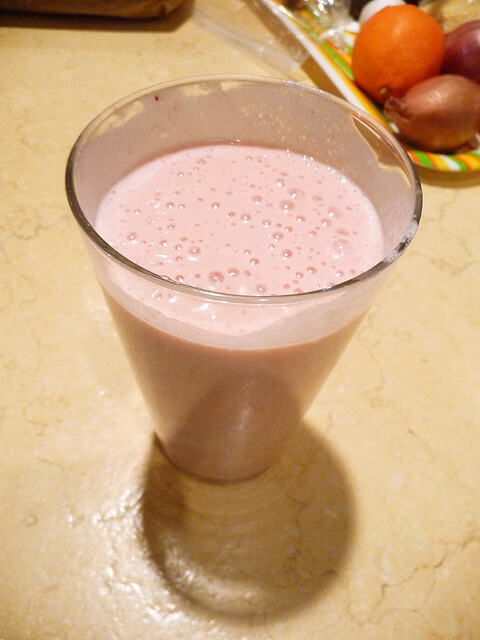 Yesterday I did strawberry, and on the counter right now I have chocolate/almond and a vanilla carbonating. The only other addition was a spoonful of sugar, just to counter the slightly tart aspect of the kéfir. Left, chocolate almond; right, vanilla. I used strawberry syrup, pure vanilla extract, chocolate syrup and almond flavouring. Make them as sweet as you want the finished product. In future I will probably do orange, lemon, pineapple, blueberry, pomegranate... I would assume syrups or juices work best, but not necessarily. Just put enough flavouring in the plain kéfir to make it taste the way you want, seal it up and wait 24 hours. Flavouring can be done before you carbonate or after although I think pre-flavouring works best. I did my flavouring before carbonation. As the addendum note above states, I am in the process of doing a comparison for the role sugar plays in the process. 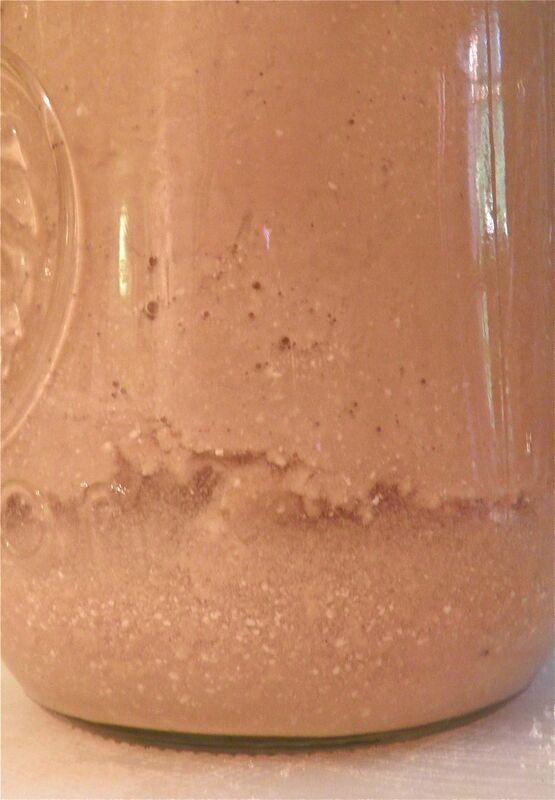 Note the bubbles and "separation." 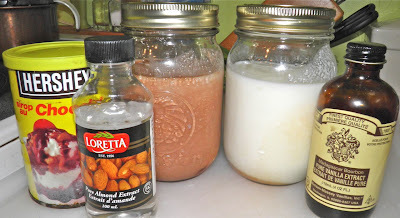 You will see by the photos that I didn’t fill the chocolate and vanilla jars the whole way. That was a life lesson. I filled the strawberry one a bit too full (my first attempt) and had an “eruption.” When I removed the cover the contents foamed up and came out over the top a little bit. I was more than a little surprised and pleased at that. It was REALLY carbonated. I do believe that I will process almost all my kéfir this way in the future unless I have a particular use for the non-carbonated variety, which is amazing on its own as well. Super success with this procedure. Can’t wait to figure out what to dream up next. I hope you try it. I don’t know if it will work with plain kéfir from the grocery, but it would be worth a shot if you don’t have grains. My next kéfir adventure is to carbonate apple juice. I'm looking forward to that process as well.